Get Fit. Have Fun. Become Part of a Community. At CrossFit Colchester we’ve created a friendly, motivational and safe environment for anyone who wants to train with us. We train together, push each other, and our supportive network of coaches and members means anyone can join in, no matter their age, ability or level of fitness. We’ve all had to start somewhere, but it’s about taking that first step. 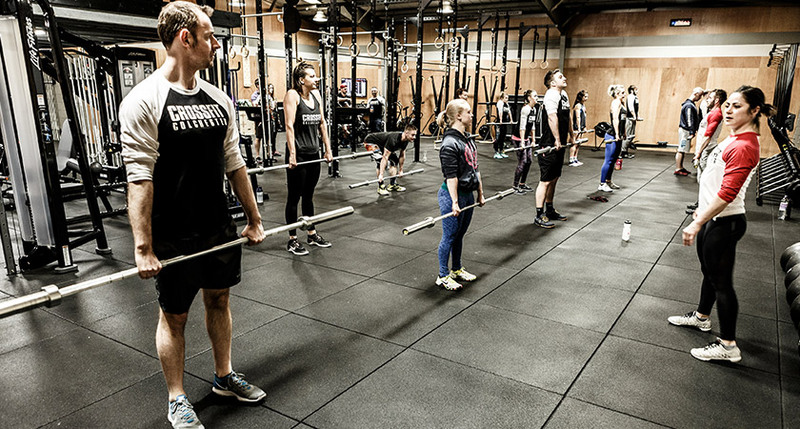 CrossFit is based on full body movements, which can be scaled and adapted to suit all abilities. At CrossFit Colchester we teach you how to perform functional movements in a safe and effective way. What do we mean by functional movements? Cardiovascular / respiratory endurance – The body’s ability to gather, process, and deliver oxygen. Stamina – The rate at which the body processes, delivers, stores, and uses energy. Strength – The application of force by a muscular unit, or combination of muscular units. Flexibility – Increasing and maximising the range of motion at a given joint. Power – The application of force by a muscular unit, or combination of muscular units, in minimum time. Speed – Minimising the time cycle of a repeated movement. Coordination – The ability to combine several distinct movement patterns into a singular movement. Agility – Minimising transition time from one movement pattern to another. Balance – Controlling the placement of the body’s center of gravity in relation to its support base. Accuracy – Controlling movement in a given direction or at a given intensity. Activities that once were difficult will become easier and more comfortable to complete. No matter what your fitness goals are, at CrossFit Colchester we want to help you reach them. Our programs will help you reduce body fat, improve strength and endurance, help you move faster and increase your energy levels. Variation in exercises means no two days are the same, which encourages the body to keep adapting. What happens when you join CrossFit Colchester?